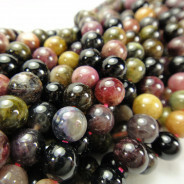 Fire Agate Multi-Colour 10mm Faceted Round Gemstone Beads (~40pce Strand) - 40cm/16'" Strand. 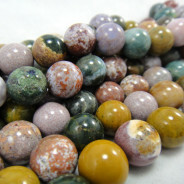 Like most Fire Agate beads around these are not true Fire Agate. 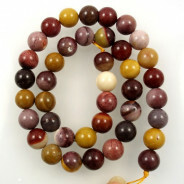 Genuine Fire agate is very rare and expensive. 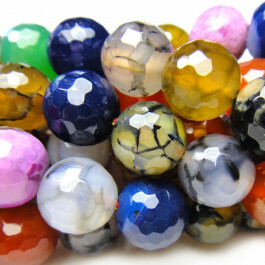 The name Fire Agate is now commonly used instead of the correct name "Spider web Carnelian", "Fire Crackle Agate" or "Crab Fire Agate". 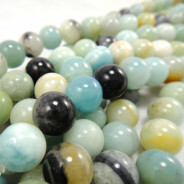 These unique beads range from solid colours to translucent with hits of an inner glow. The natural stone beads have been enhanced with the use of dyes and a heat treatment to create the spider web crackle effect. This is crab fire agate - heat treated and dyed carnelian.